Joc Russell Pederson is an American professional baseball outfielder for the Los Angeles Dodgers of Major League Baseball (MLB). 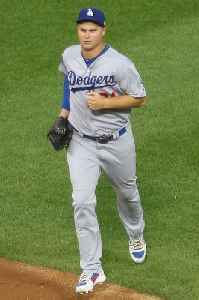 Pederson was drafted by the Dodgers in the 11th round of the 2010 MLB Draft, out of Palo Alto High School. His father, Stu Pederson, played for the Dodgers in 1985.